A ‘quadruple whammy’ of the end of the restocking cycle, weakening global economic activity, contracting export order books and weakening consumer dealt a blow to air cargo fortunes towards the end of 2018. The International Air Transport Association (IATA) released full-year 2018 data for global air freight markets showing that demand, measured in freight tonne kilometres (FTKs) grew by 3.5 per cent compared to 2017. This, IATA notes, was significantly lower than the extraordinary 9.7 per cent growth recorded in 2017. To attract demand in new market segments, the air cargo industry must improve its value proposition. Enabling modern processes with digitalisation will help build a stronger foothold in e-commerce and the transport of time- and temperature-sensitive goods such as pharmaceuticals and perishables.” – Alexandre de Juniac, IATA’s director general and CEO. Freight capacity, measured in available freight tonne kilometres (AFTKs), rose by 5.4 per cent in 2018, outpacing annual growth in demand. This exerted downward pressure on the load factor, but yields proved resilient, IATA adds. Air cargo’s performance in 2018 was sealed by a softening in demand in December. Year-on-year, December demand decreased by 0.5 per cent – the worst performance since March 2016. Freight capacity, however, grew by 3.8 per cent, the tenth month in a row that year-on-year capacity growth outstripped demand growth. 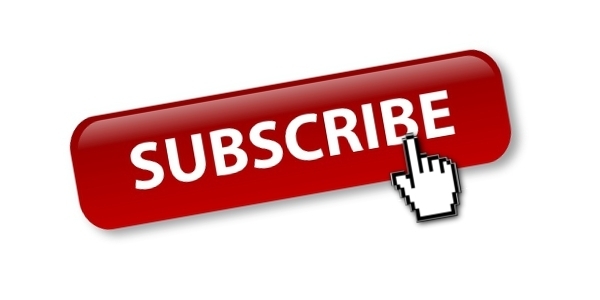 International e-commerce grew in 2018 which was a positive factor for the year, but unfortunately a softening of several key demand drivers spoiled the upside. 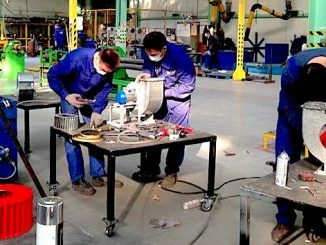 The restocking cycle, during which businesses rapidly built up inventories to meet demand, ended in early 2018; global economic activity weakened; export order books of all major exporting nations, with the exception of the US, contracted in the second half of 2018; and consumer confidence weakened compared to very high levels at the beginning of 2018. 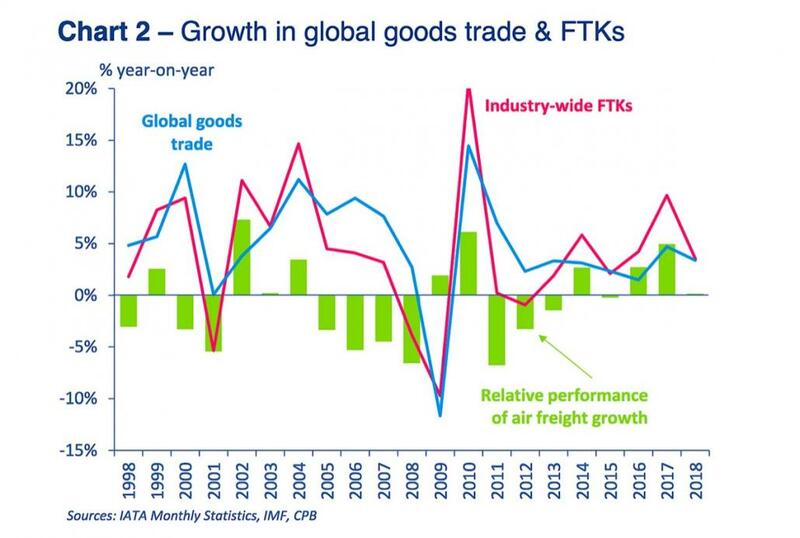 “Air cargo demand lost momentum towards the end of 2018 in the face of weakening global trade, sagging consumer confidence and geopolitical headwinds,” says Alexandre de Juniac, IATA’s director general and CEO. 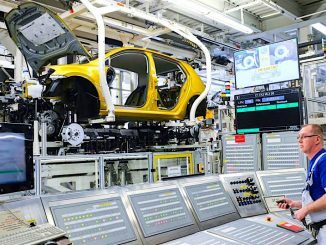 “Still, demand grew by 3.5 per cent compared to 2017. 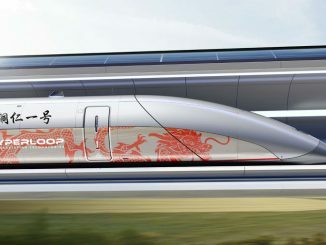 “We are cautiously optimistic that demand will grow in the region of 3.7 per cent in 2019. But with the persistence of trade tensions and protectionist actions by some governments there is significant downside risk. Keeping borders open to people and to trade is critical,”de Juniac, adds. 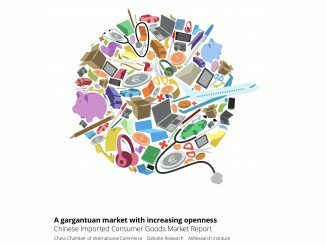 “To attract demand in new market segments, the air cargo industry must improve its value proposition,” the IATA chief urges. “Enabling modern processes with digitalisation will help build a stronger foothold in e-commerce and the transport of time- and temperature-sensitive goods such as pharmaceuticals and perishables,” de Juniac adds. Asia-Pacific carriers posted the weakest growth of any region in December 2018 with a decrease in demand of 4.5 per cent compared to the same period a year earlier, while capacity increased by 2.6 per centy. The weaker performance in December contributed to growth in freight demand of only 1.7 per cent in 2018 compared to 2017 while annual capacity growth topped 5.0 per cent. The weaker performance of Asia-Pacific carriers in 2018 largely reflects a slowing in demand for exports from the region’s major exporters (China, Japan and Korea). 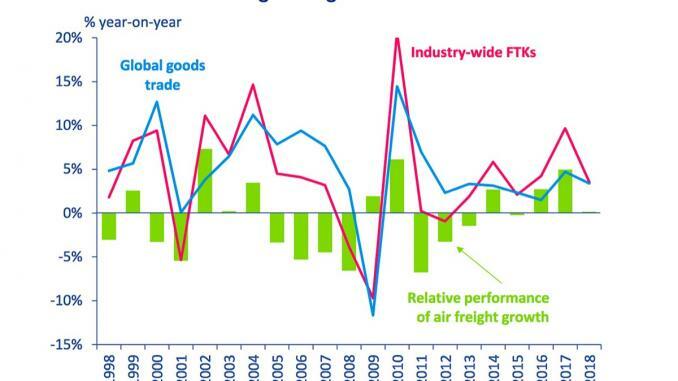 Signs of a moderation in economic activity in China and an escalation of trade tensions continue to pose a downside risk to air cargo in Asia-Pacific, IATA says. North American airlines posted the fastest growth of any region for the seventh consecutive month in December 2018 with an increase in demand of 2.9 per cent compared to the same period a year earlier. Capacity increased by 4.5 per cent which contributed to an annual growth in demand in 2018 of 6.8 per cent, matching the rate of capacity increase. The strength of the US economy and consumer spending have helped support the demand for air cargo over the past year, benefiting US carriers. 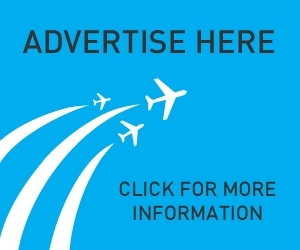 European airlines posted a 1.9 per cent year-on-year increase in freight demand in December 2018 and a capacity rise of 3.7 per cent. 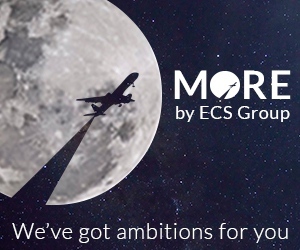 The improved performance in December contributed to an annual growth in demand for air cargo of 3.2 per cent in 2018, against a capacity growth of 4.3 per cent in the same year. 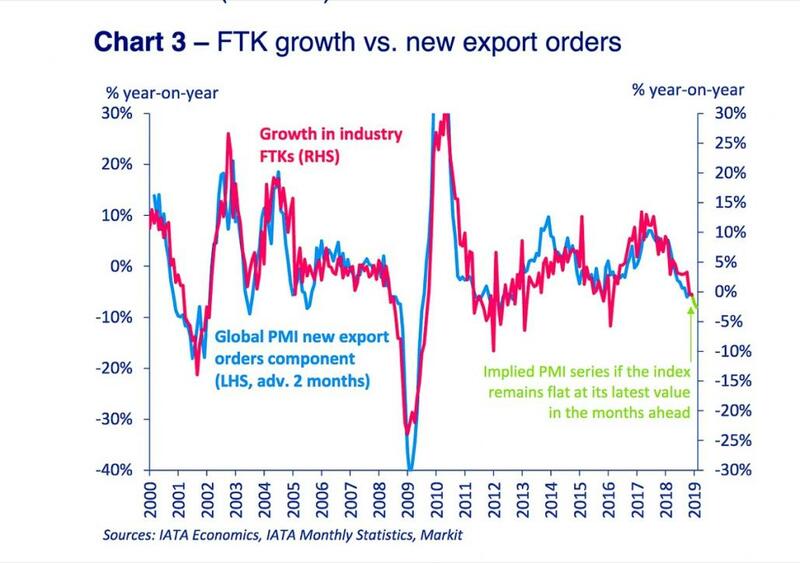 Weaker manufacturing conditions for exporters, particularly in Germany, one of Europe’s key export markets, along with mixed economic indicators impacted demand in 2018, IATA says. Latin American airlines experienced a decrease in year-on-year demand of 0.1 per cent in December after three months of positive growth, while capacity increased by 6.0 per cent. 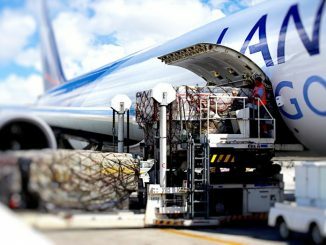 Despite a decrease in demand, IATA says it’s worth noting that within South America, the cargo market continues to perform strongly, with international demand up almost 20 per cent year-on-year. Annual growth in freight demand among Latin America carriers in 2018 increased by 5.8 per cent – the second fastest of all regions. Annual capacity increased 3.4 per cent in 2018. African carriers’ saw freight demand decrease by 2.2 per cent, in December 2018, compared to the same month in 2017. This was significantly less than the 9.4 per cent decrease in the previous month, while capacity increased by 4.9 per cent year-on-year. 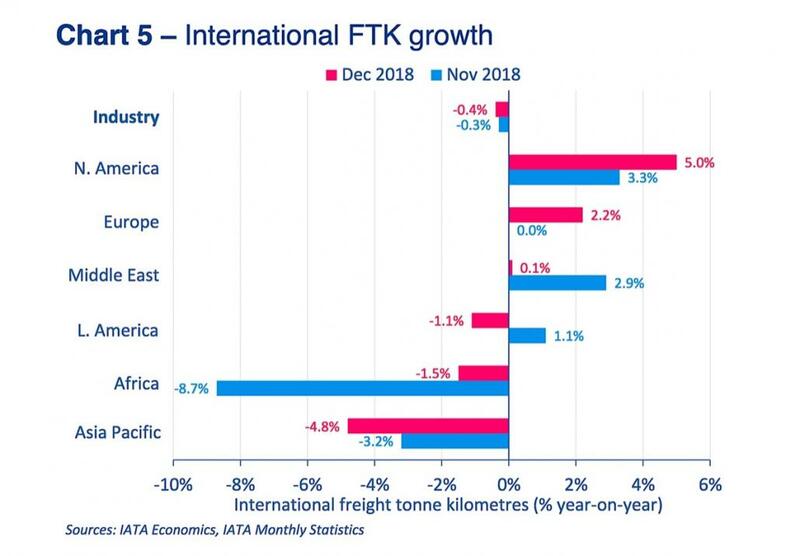 IATA notes that seasonally-adjusted international freight volumes, despite being 7.7 per cent lower than their peak in mid-2017, are still 50 per cent higher than their most recent trough in late-2015. Annual growth in freight demand among Africa carriers in 2018 decreased by 1.3 per cent with capacity growing by 1.0 per cent. A quadruple whammy of the end of the restocking cycle, weakening global economic activity, contracting export order books and weakening consumer dealt a blow to air cargo fortunes towards the end of 2018.